Looking for an Incredible Speaker? From the moment she opens her mouth, Darnyelle has one mission – to make your event an Incredible One®. 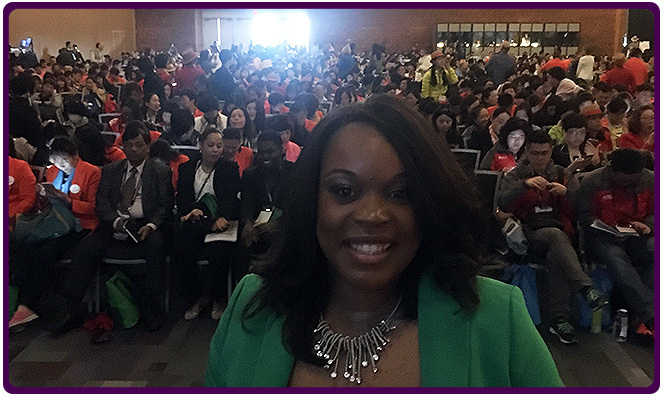 Darnyelle’s powerful speaking style has been captivating audiences at conferences, corporations, non profit organizations, churches and colleges for more than 20 years. Additionally, Darnyelle produces her own live events each year – trust me she understands your challenge of booking the perfect speaker for your event. In working together, our goals are your goals: to be the best speaker you’ve ever had. Darnyelle shows up ready to help your audience shift in a way that is entertaining, empowering and educational…and Darnyelle is committed to making you look good as a planner. She’ll be so good that you’ll be booking her to come back again as soon as she opens her mouth! Meet Darnyelle Jervey Harmon, MBA, CBC, CEC, CPBS. Darnyelle, travels from Newark, DE (Philadelphia International Airport). She is known for her contagious energy, passionate delivery and enthusiastically captivating presence. Darnyelle is guaranteed to capture and keep the attention of the audience from the moment she opens her mouth!!! She has the Incredible power to move your organization from where they are to where they need to be because she isn’t just engaging and entertaining, she also equips your audience with immediately implementable strategies! Darnyelle’s personal story will inspire you to stop making excuses and start making plans. Born prematurely to drug addicted parents, Darnyelle suffered periods of abuse and watched her mother taken away to jail all before the age of 8. Yet determined to defy the odds and break belief barriers, she went on to be the only of her 7 maternal siblings to graduate from high school and pursue education as her way of escaping her chaotic childhood environment. Today, her message is simple: When there is a purpose for your life, nothing can stop you from fulfilling it. And more importantly, the only difference between a stumbling block and a stepping stone is how you see and ultimately use it. Darnyelle has successfully overcome adversity and positioned herself to change the lives of others. 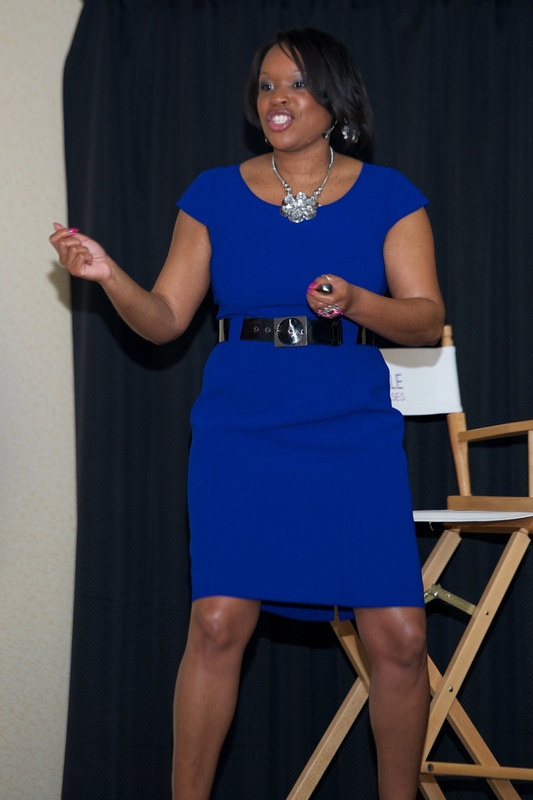 Darnyelle’s keynotes, seminars and workshops have empowered thousands nationwide. She is an author of 7 books, has a solid background in Marketing, Sales, Branding Messaging, Women’s Empowerment, Leadership, and she is a certified life, executive and business coach. She is a certified personal branding strategist. She also holds an MBA in Marketing. She is an active member of the National Speakers Association and National Association of Women Business Owners is available for keynotes, leadership and brand development marketing and sales workshops and seminars. Darnyelle’s presentations: can be tailored to meet the customized needs and objectives of any audience (individuals, companies, teams). She is more than motivational; she imparts skills, strategies and solutions. Every time she speaks audiences get right now strategies to implement, which increases their results and boosts productivity and efficiency. Darnyelle inspires audiences to burn the box and position themselves for financial and spiritual abundance in their lives because of their businesses/careers. During her Fortune 500 tenure, Darnyelle used the same strategies she teaches today to quickly progress from a representative to a Vice President in three short years. She then used her position to empower leaders within the organization before going on to build a thriving Mary Kay Cosmetics business growing from 22 to 500 in one year, while earning two of the coveted Pink Cadillacs. Following her Mary Kay tenure, she ran the Delaware based Center for Women’s Entrepreneurship where she was responsible for growing the program and outcomes by more than 68%. As she states, she grows businesses, period.